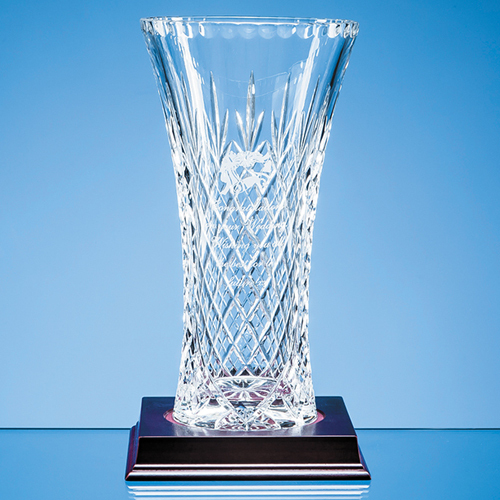 This elegant lead crystal flared vase with a classic diamond cut pattern is a superb choice as a gift or award for many occasions. There is a generous panel allowed for engraving, so it can be personalised to suit the occasion, whether a business recognition award, a retirement gift or to mark a special family occasion like a birthday or anniversary. Also available is an optional wooden base (MOR26).